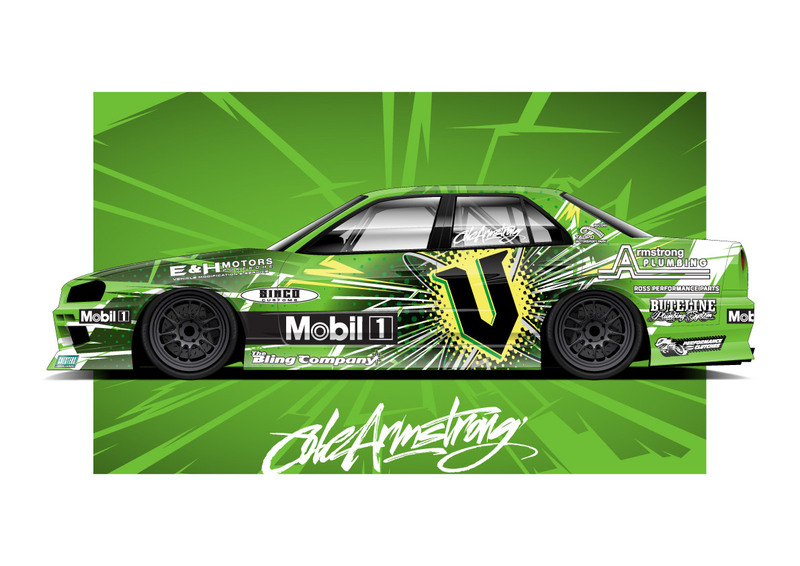 D1NZ driver Cole Armstrong debuted his refreshed V Energy Nissan R34 Skyline drift car for the final round of D1NZ's 2014-15 season, with his Nascar powered V35 skyline out of action for the weekend, Cole needed a revised livery made that reflected his previous designs but had that extra wow factor. As the car was driven by V8 Supercar driver Shance Van Gisbergen earlier in the season with his own Hyper Tyres livery, this needed to be swapped out before Cole hit the track. The graphics were printed onto matte vinyl and applied as one piece, thankfully our custom made templates are taken from dimensions of the actual car which helped the team at Redline Signwriters get the job done right first time.